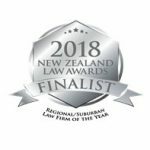 Like his partner at Southern Legal, Victor Raman, Vimlesh was born in Fiji and came to New Zealand on a scholarship in 1991. He attended Otahuhu College before completing his degrees at Otago University, in 2003. Vimlesh gained valuable experience working in a Greenlane based law firm before he and Victor established Southern Legal in 2008. Much of Vimlesh’s practice consists of property work – both Commercial and Residential Conveyancing. He also handles Wills and Estate administration, Succession Planning and Asset Protection, all aspects of Trust Law, and Immigration advice and Family Law. Vimlesh has experience handling Trademark applications. His professional and friendly manner and sense of humour all ensure Vimlesh’s clients get great service and value. 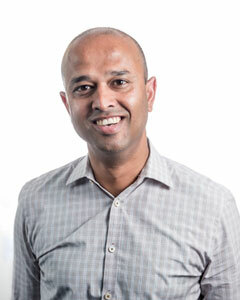 Vimlesh also believes that his BCom degree, with an accounting major, has been very helpful when dealing with most legal matters – especially the buying and selling of businesses. Family oriented with 2 young children, Vimlesh enjoys a balanced work/life style. He loves sports including soccer and keeps fit at the gym. Vimlesh has been a volunteer at the Mangere Citizens Advice Bureau since 2006. This helps to keep him grounded and gives him the opportunity to help less advantaged people who may otherwise be unable to afford specialist legal advice.